The Royal Festival Hall at the Southbank Centre in London will be offering schools a new music workshop from January 2018. The workshop will run from 9th January to 29th March 2018, with other dates available upon request. The sessions will run on Tuesdays, Wednesdays and Thursdays. The new workshop will involve school groups having a go at playing instruments from the Javanese gamelan – a percussion orchestra from Indonesia – which is displayed at the centre. This will tie in with the Music curriculum as well as enable pupils to learn more about different cultures. The sessions are available for school groups of up to 20. The sessions will last approximately two hours and will explore the traditional Javanese repertoire. The workshops can be tailored to suit your group and can include composition and performing with a tutor. The workshops are suitable for both Primary and Secondary schools, but are particularly beneficial for Key Stages 3 and 4. According to workshop organisers playing gamelan can inspire and improve self-confidence in pupils, as well as co-ordination, team building and listening skills. 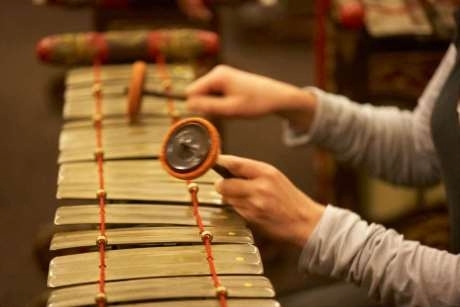 Teachers interested in booking a session can contact gamelan@southbankcentre.co.uk or phone 020-7921 0767. More workshops and events suitable for schools are available at the Southbank Centre, which often include projects where schools can get hands-on and perform or create something for one of the centre’s festivals. There is an educational programme for both Primary and Secondary schools and teachers should look on the website for more details as to what is available. In 1987, the Southbank Centre received the Javanese percussion orchestra, which was seen as a gift from the Government of the Republic of Indonesia to the people of the UK, to signal friendship. As with many other gamelan ensembles, the one at Southbank is named ‘Kyai Lebdha Jiwa’ which translates as ‘The Venerable Spirit of Perfection’. For more information, visit www.southbankcentre.co.uk.